A few years ago I bought a second-hand copy of a book called Secrets of our Spaceship Moon by Don Wilson. This was first published in the USA in 1979, but the copy I bought was the British Sphere paperback from 1980. Inside it I found a newspaper clipping from the Sunday Mirror (a downmarket tabloid here in the UK) dated 9 September 1979. Headed "Moon Aliens: Riddle of two UFOs in crater as Apollo made historic landing", it cites various dubious pieces of evidence suggesting that Neil Armstrong and Buzz Aldrin encountered extraterrestrials while they were on the surface of the Moon in 1969 (see scan below -- click on the image for a larger version). The alleged Apollo 11 encounter is discussed in Secrets of our Spaceship Moon (it's even mentioned in the teaser paragraph on the first page), but it's pretty tame compared with some of the book's other "revelations". One of the later Apollo missions found a discarded glass bottle on the Moon, while another produced metal shavings while drilling into its crust. Early reconnaissance photographs revealed huge monuments, pyramids and other structures on the surface. As far back as the 1920s, coded radio signals were received from an alien satellite in lunar orbit. In 1968, a male-female pair of Soviet cosmonauts landed on the Moon a year before Apollo 11, but the man was killed by a "mechanical monster" and the woman was forced to return to Earth alone. To top everything, as the title of the book suggests, the Moon itself is a hollowed out artificial megastructure of alien origin. NASA knows this, but insists on concealing the truth for nefarious reasons of its own. 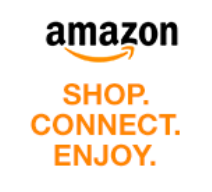 You might think that all this comes from the author's imagination, but actually all the claims in the book are carefully referenced to third-party sources. It's just that the sources aren't especially reliable. The information about the metal shavings, for example, comes from an unnamed "high school student". Now call me an old cynic, but I don't find that overwhelmingly conclusive. And one of the sources for the Apollo 11 UFO sightings is Otto Binder, described by Don Wilson as a "former NASA researcher and writer". I'm not sure about the "former NASA researcher" part, but Otto Binder certainly was a prolific writer. 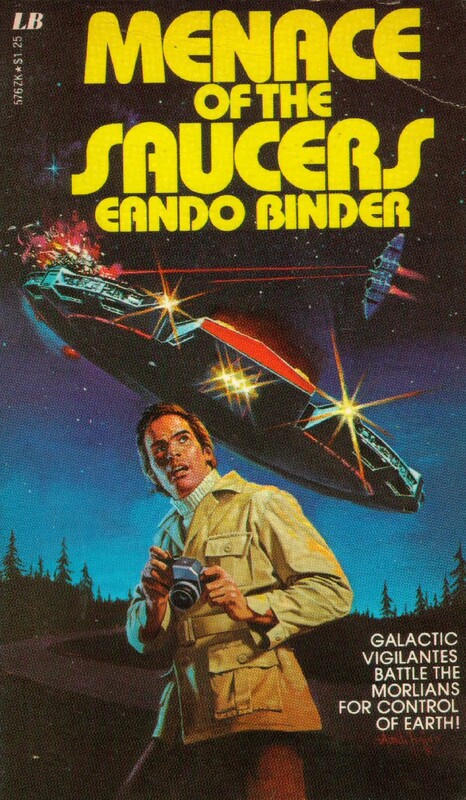 Most of his output was science fiction, written under the pseudonym of Eando Binder (originally shared with his brother Earl: "E and O Binder"). 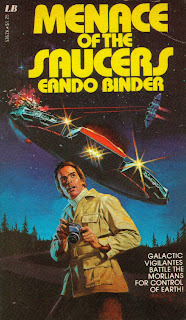 In 1969, Binder wrote a novel called Menace of the Saucers (left) and its sequel Night of the Saucers. These are interesting because they're among the very few adult science fiction novels which buy wholeheartedly and uncritically into the UFO paradigm. The two books are full of references to "real" ufological cases and associated anomalies -- including lunar ones. At one point in Night of the Saucers, the hero (a skeptical journalist turned believer) says to his alien wife (a member of the Galactic Vigilantes) "By the way, Lunar Orbiter Two, in 1966, photographed perfectly shaped domes on the Moon, and also strange spires. The domes had moved, when next photographed. Anything of yours?" -- to which she answers "Yes, they are our mobile Moon bases, plus antennas, with which we keep a long-range check on Earth". Yes, I remember that story from when it first came out (I was an avid reader of the Sunday Sport in its first few years, and even sent them a letter which they printed!). I love Moon hoaxes and can't get enough of them. However, I decided to limit this post to to the books by Wilson and Binder, or i would have got carried away!